Soft-spoken, diminutive in size, and possessing the strategic skills of a chess grandmaster, Supreme Court Justice Ruth Bader Ginsburg is proof that remarkable things can come in small, unassuming packages. “I tend to be rather sober,” she acknowledges. But behind the quiet demeanor is a towering intellect, steely determination and fierce commitment to equal rights and social justice. In the 1970s, years before being named to the high court, she blazed a trail for gender equality as a lawyer arguing before the court. In fact, one of the most illuminating parts of the documentary RBG, a comprehensive, surprisingly intimate portrait of this most consequential woman, is listening to the arguments she presented in court (contained in audio recordings of the court’s proceedings). The very opposite of a firebrand, she presented thoughtful, well-reasoned arguments. Her powers proved persuasive; she won five of the six cases she argued before the high court. Before seeing the documentary, I respected Ginsburg for her shrewd, articulate positions but I suspected she was rather a cold fish – cerebral but humorless, so reserved that she exhibited few, if any, overt signs of personality. Boy did this documentary open my eyes! And though it may sound terribly old-fashioned – and, worse, politically incorrect — what made her most human to me was the unexpected love story that played such a pivotal role in her personal and professional life: her 60-year love affair and marriage to Martin Ginsburg, whom she met when both were students at Cornell University. “He was the first guy I met who cared that I had a brain,” she recalls. The two could not have been more different: Marty was outgoing, gregarious, at ease around everybody and funny, while Ruth was quiet, shy and reserved. It turned out to be a match made in heaven. The documentary is filled with photographs and home movies of the couple, beginning in 1950 when they met and continuing until Marty’s death in 2010. Her eyes positively sparkled whenever she was around him, as well as when she talks about him in the film. Directed by Betsy West and Julie Cohen, the film covers the Justice’s entire life. Born in Brooklyn in 1933, Ruth Bader was a first generation American. She was very close to her mother, who died when Ruth was 17. Ginsburg reveals that her mother taught her “to be independent and to be a lady, which meant not being distracted by wasted emotions like anger and resentment.” They were lessons the daughter took to heart and that stood her in good stead in her chosen profession. She was one of nine women admitted to Harvard Law School out of a class of 500. But law firms didn’t hire women in those days, so she became a law professor, first at Rutgers and then at Columbia University. 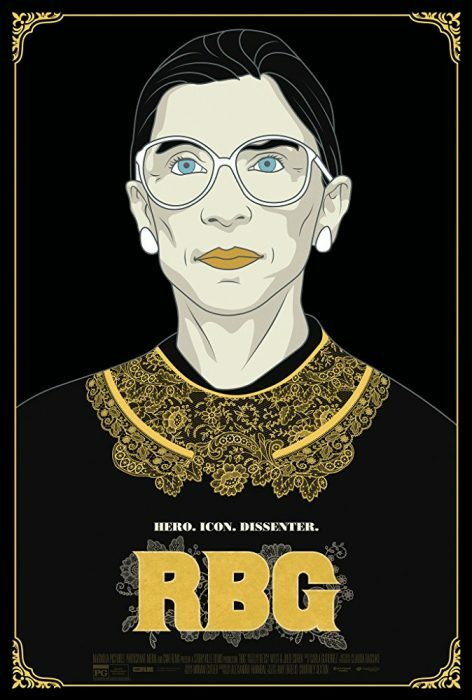 The documentary includes portions of Ginsburg’s impressive, 1993 appearance before the Senate Judiciary Committee – she won confirmation to the high court 96 to three – as well as lengthy interviews with the Justice herself, family members, childhood and university friends, former Supreme Court clerks and, most fascinating of all, three of the plaintiffs she represented in her arguments before the Supreme Court back in the 1970s. One client was a man, allowing Ginsburg to show that gender-based discrimination is not just a women’s issue. Although considered one of the most liberal members of the current Supreme Court, Ginsburg maintains that her judicial philosophy has never wavered. She was never a firebrand but, rather, always tried to be a consensus builder. She used each case to move things forward, convinced that “real change, enduring change, comes one step at a time.” As the high court itself has moved steadily to the right, however – the result of appointments by conservative presidents and an increasingly partisan Senate confirmation process — her positions may seem more liberal. 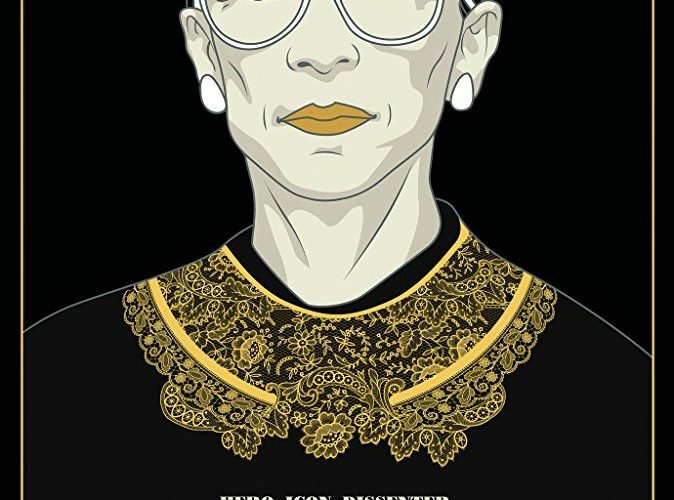 Never one to seek public attention, the 85-year old jurist suddenly finds herself a pop-culture icon, a champion of women’s rights to millions of young people who weren’t even alive when she made her historic mark on American jurisprudence. She has learned to take it in stride but it is clear she enjoys it and uses her newfound status – admiring millennials have anointed her ‘The Notorious RBG’ (a spin-off from the name of rapper Notorious B.I.G.) — to teach young people about the importance of public service and the law. A formidable legal scholar and, in the parlance of an earlier generation, “one tough cookie,” she continues to leave her mark. These days she does it more through her piercing dissents – never uttered in anger and always based on solid law. This entry was posted in Film, Film Review. Bookmark the permalink.